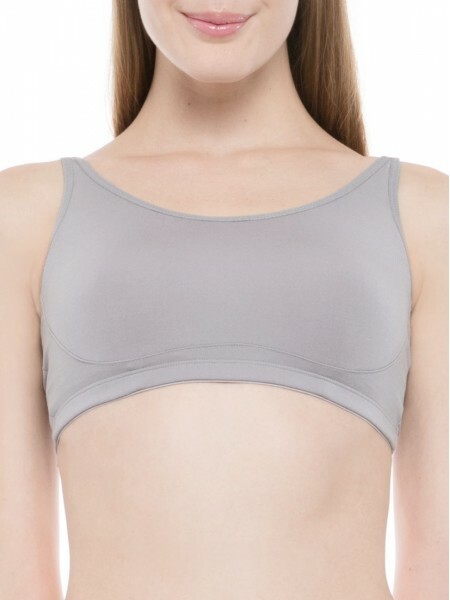 This seamless, moulded, wirefree bralette using MicroModal® fiber, which conforms to every curve, is finer and softer than cotton, perfect for everyday wear, suitable for all ages. Full coverage over the breasts, no worries about peeking under V-neck clothes. A built-in light foam demi moulded cup offers a nature curve, lined with odor-resistant and moisture-wicking "Bamboo Charcoal" fabric.